Researchers at LSTM and Imperial College London have designed drugs which could help combat any potential new flu pandemic, by targeting the receptors of the cells by which the virus gains entry to the human body. In a paper published today in the Journal of Immunology the team, led by LSTM's Professor Richard Pleass, show that by engineering a part of an antibody they can target the viral proteins that allow flu to mutate and become so deadly to humans. Last year marked the centenary of the 1918 influenza pandemic that claimed nearly 100 million lives worldwide, thus becoming the deadliest disease outbreak in recorded history. Global annual influenza outbreaks account for 300,000-650,000 respiratory deaths, mostly in children and the elderly. Professor Pleass explained: "Influenza vaccines have limited public health impact during pandemics, and current influenza vaccines are less efficacious than vaccines for many other infectious diseases. 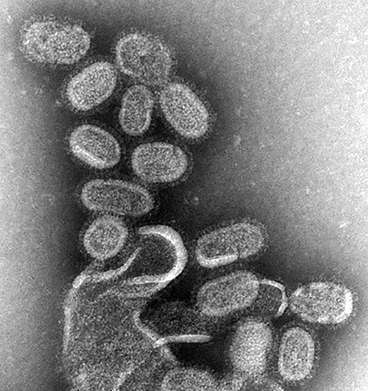 This is because influenza viruses that circulate in human and animal populations mutate two key viral surface proteins, haemagglutinin (HA) and neuraminidase (NA), thus allowing them to escape from protective antibodies produced through natural infection or vaccination"
Both HA and NA target a sugar called sialic acid, that is found in abundance on the receptors of cells lining the mammalian respiratory tract, which the virus uses to gain entry into the body. The sialic acid-binding contacts on HA and NA do not mutate readily, otherwise the virus would not be able to infect human cells. By targeting sialic acid, these engineered biologicals may also be useful in the control of other pathogens, such as group B streptococci, Streptococcus pneumoniae, Mycoplasma genitalium, and Newcastle Disease Virus. "Better anti-influenza therapeutics are urgently needed." Continued Professor Pleass: "The transfer of antibodies from people recovering from influenza during the 1918 and 2009 pandemics reduced mortality from influenza by 50% and 26% respectively. However, to be useful, these antibody medicines (also called FLU-IVIG) need to be manufactured in advance of future epidemics, which is obviously problematic as there may be modest or little neutralising activity against newly emerging strains. Therefore, combinations of existing medicines, including FLU-IVIG, with sialic acid blockers could increase their efficacy while future-proofing against the next pandemic." Professor Sara Marshall, Head of Clinical and Physiological Sciences at the Wellcome Trust, who provided funding for this work, said: "This is a fascinating project, and one which could have really far-reaching impact not only for influenza but as a platform technology to develop new medicines for many other diseases that are currently treated by antibodies." The technology described is available for licensing.